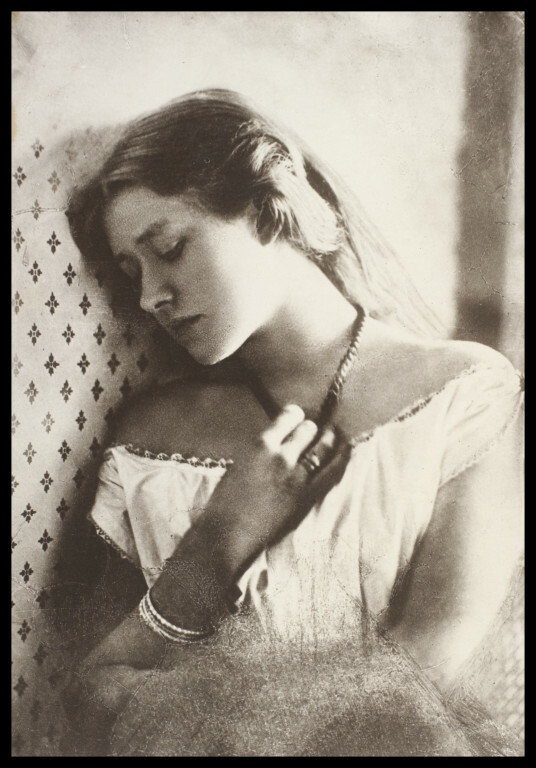 This now famous image of the actress Ellen Terry (1847-1928) was taken by the photographer Juliet Margaret Cameron (1815-1879). Cameron (who became known for her photographic portraits of nineteenth century celebrities) had purchased a house in Freshwater Bay, in the Isle of Wight in circa 1860 and the original photograph was probably taken in 1864 when the newly married Terry visited the Isle of Wight, with her then husband the painter G.F.Watts. Employing a non-fading print process used for commercially distributed pictures, Cameron's printer was able to make multiple carbon prints of this photograph available for purchase by Terry and Cameron's fans. 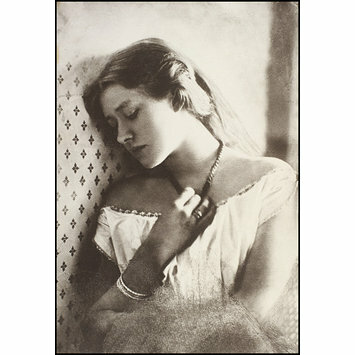 Sepia photograph of Ellen Terry. Written in pencil on back of photograph, probably the handwriting of Guy Little. Photograph of Ellen Terry, 1864. Guy Little Collection.